The Seaview Apartment Program provides permanent, supportive housing for individuals who are chronically homeless at the time of admission and who are also living with psychiatric disorders, substance use disorders and/or HIV/AIDS. 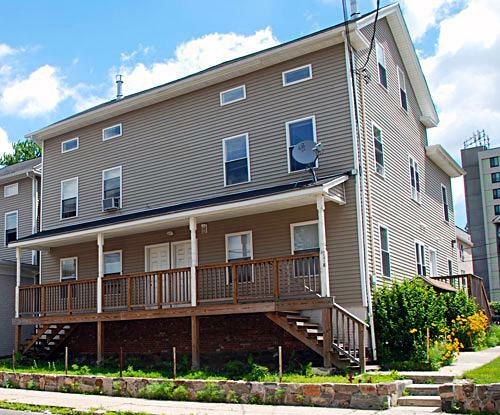 This supportive housing program is unique in its program design in several ways. Support services are located on-site which includes case management, life-skills training, crisis intervention and individual and group counseling. In an effort to support the emphasis on skill-building and life-skills training, this program is located directly on a bus line. In addition, laundry facilities are located on-site at no cost to those living within the program. Evidence-based treatment is also provided on site. This includes Seeking Safety™ for individuals with a history of trauma, Illness Management and Recovery for individuals with co-occurring disorders, relapse prevention for sustained recovery, and gender-specific group services. This HUD funded program combines the essential elements of permanent housing with comprehensive, supportive, wrap-around services. Referrals are made by calling (203) 576-9041 or (203) 610-8296.